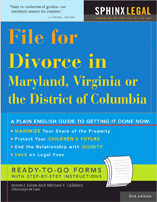 A wife can ask the divorce court to change her name back to her former name at the divorce hearing in Maryland. Under common law, you can call yourself anything you want to as long as it is not to defraud anyone or interfere with their rights. Maryland law is the same. But sometimes a court order will make it easier to change things like a driver’s license, social security, bank accounts and credit cards. You can petition the court to change your name, but you avoid the extra cost by asking for it at your divorce hearing. Can a man request that his wife change her name back from her maiden name during a divorce preceeding?